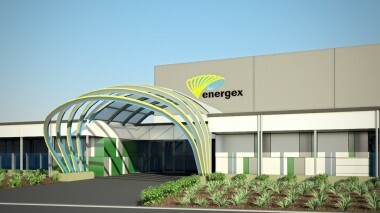 Energex at TradeCoast Central becomes the first Green Star Industrial Version 1 rated building in Australia! TradeCoast Central recently completed the Energex Distribution Centre which has received the first Green Star Industrial Rating in Australia. The 17,000m2 facility houses Energex Transformers and Project Stock. The facility was recently opened by The Honourable Stephen Robertson.